Treat your guests, the Rochester Bed has a beautifully crafted framework that conceals a trundle bed for extra sleeping space. The Rochester has a rubberwood frame finished with an amino coating paint process and is available in either an oak or white colour option. 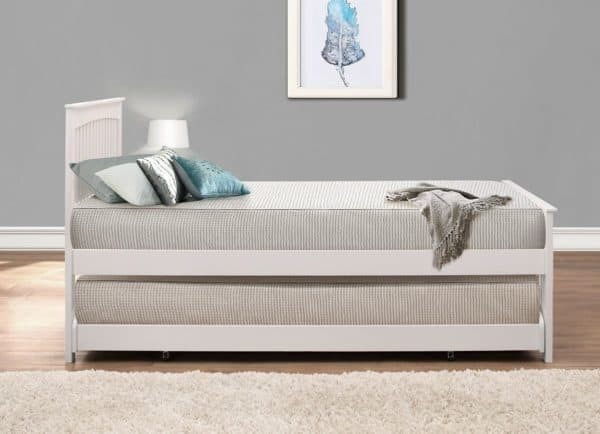 The pull-out trundle features castors for ease of use and can be used in either the flat or upright position. 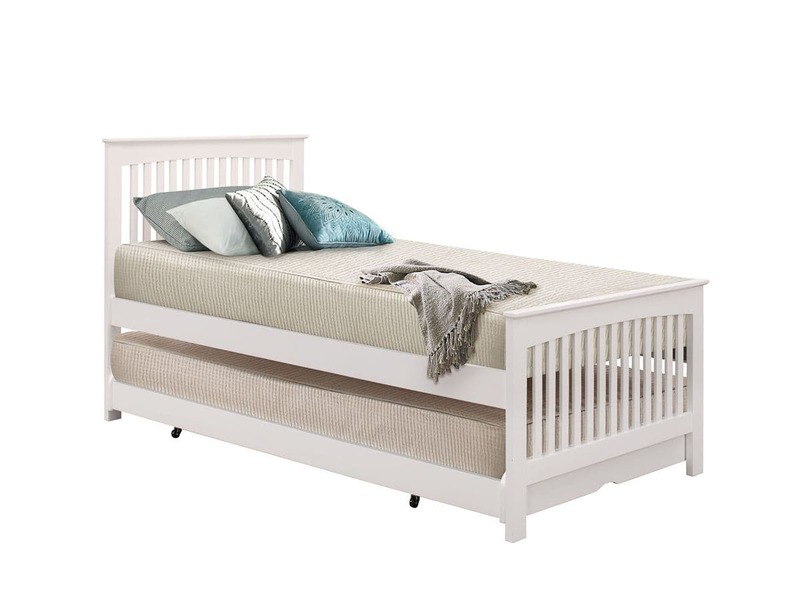 Sprung slatted bases give natural bounce, adjusting to where most pressure is exerted and providing greater comfort. 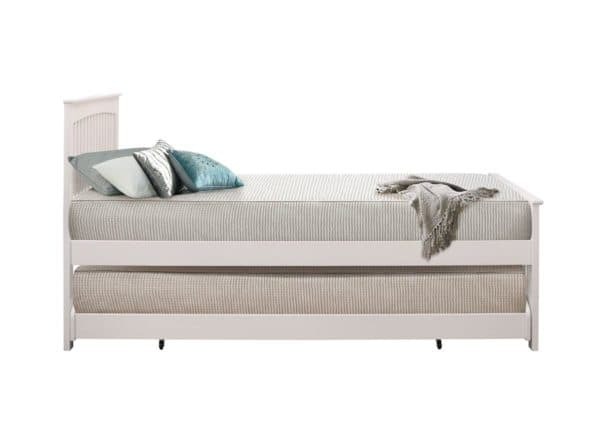 The maximum mattress height to be used for this frame and trundle is 160 mm. 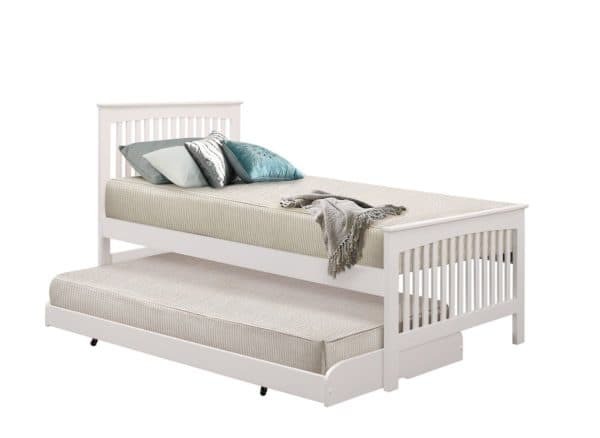 The maximum load baring per bunk for the Rochester bed is 120kg.